You’ve heard the commercials: “We will give you a minimum of $500 for your trade no matter the condition!” This is usually just a shell game to get you to pay more for the car you are buying, and dealers that advertise this way should probably be avoided. According to a story in Automotive News, a woman in Connecticut learned the hard way how dealers will offer you one price for your trade only to shuffle the numbers around and have you end up with a bad deal. In December of 2014, Marisol Morales bought a 2015 Nissan Altima from Barberino Nissan in Wallingford. At the time, the dealership was offering a minimum trade value of $3,500, even though Morales’ Toyota Camry with more than 200,000 miles had no real trade value, according to the dealership. The major caveat to the $3,500 trade offer was that the customer could not negotiate the price of the car they were purchasing. Due to the store’s policy of effectively erasing the trade offer with a non-negotiable markup, the actual transaction ended up being much higher. The manufacturer’s suggested retail price listed on the Altima’s Monroney sticker was $24,150. The dealership, though, offered Morales a cash price of $31,323, which included, as was the store’s custom, an upcharge in the amount it credited for the trade-in, in this case the advertised $3,500...Morales purchased the Altima, financing $29,280.23 at a rate of 14.95 percent. After the fact, Morales became dissatisfied with the deal and tried to sue the dealership within the guidelines of the Fair Credit Reporting Act. Despite the fact that the Nissan dealership engaged in the “shamelessly admitted practice” of inflating the sales price of a new vehicle to offset the trade trade-in, a judge they did not violate any laws pertaining to that act. However, Morales can refile her pricing-related consumer protection claims under Connecticut law in state court, according to the story. There are a couple of takeaways from this case that car buyers should be aware of if they encounter similar offers from other dealerships. First, most legitimate dealers will not offer a guaranteed trade value. No business is going to buy something for more than it is worth without making up for that loss elsewhere. Dealers will assess each vehicle on a case by case basis and offer some kind of market price for your car depending on the condition. Now, you may not be satisfied with this offer in which case you can either sell the car on your own or find a different dealer that will give you a better price. Second, whatever the offer is, make sure you read the fine print. As soon as you see something that says “purchase price is non-negotiable,” that is a huge red flag. A dealership that has a “policy” of marking up cars is a store that specifically targets uninformed car buyers because they can get away with it. On a regular car like a Nissan Altima, you should never be paying more than sticker price. Ms. Morales would have been better off at any other dealer that would have most likely sold the Altima with a decent discount and not given her anything for her Toyota. Finally, read purchase agreement carefully and do not sign if you either do not understand it or are not comfortable with the terms. Not only did Ms. Morales pay over $7,000 more than MSRP for an Altima, she agreed to an astronomical interest rate of almost 15 percent. 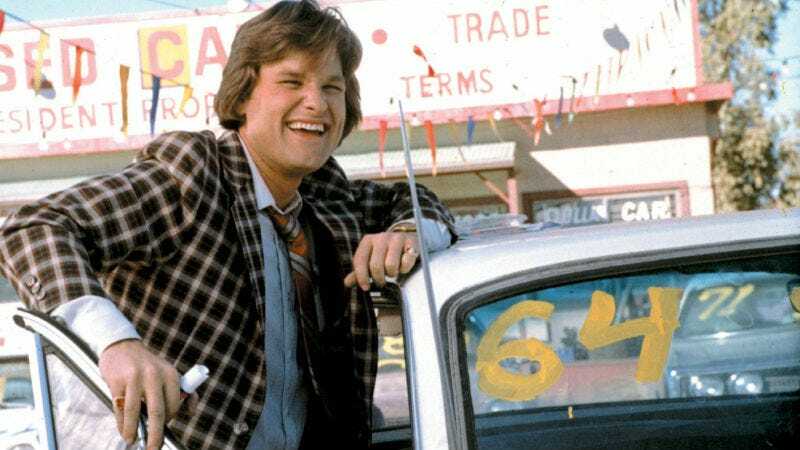 Remember that dealerships can legally add a “reserve” onto your loan by essentially selling you a loan with a much higher interest rate than you qualified for. Always check your credit and be pre-approved before you go car shopping!